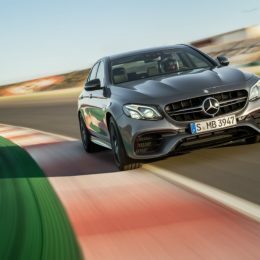 All models are powered by a 4.0-litre twin-turbo V8 engine, producing 571 hp in the E 63 and 612 hp in the E 63 S. The E 63 can sprint from standstill to 62 mph in 3.5 seconds, compared to 3.4 seconds for the E 63 S (previous models generated 557 hp and 585 hp and achieved 0-62 mph in 4.2 seconds and 4.1 seconds respectively). 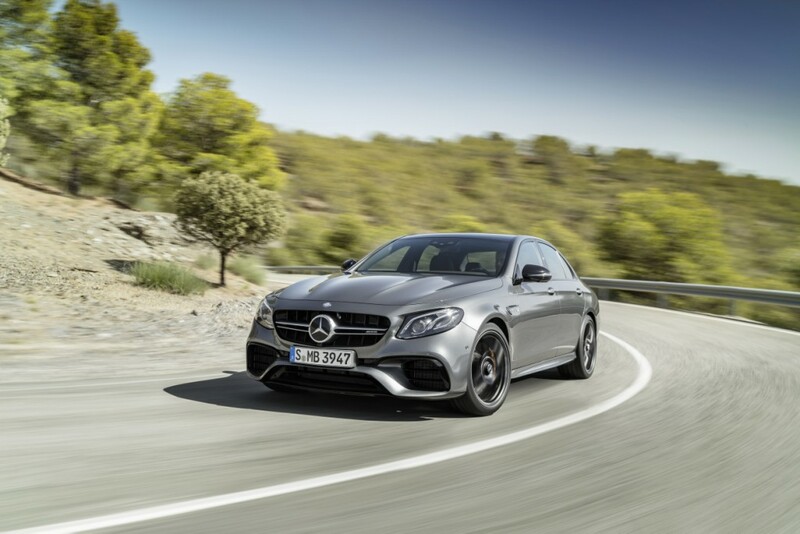 Both models are electronically limited to 155 mph – unless specified with the AMG Drivers package which increases the top speed to an electronically limited 186 mph. 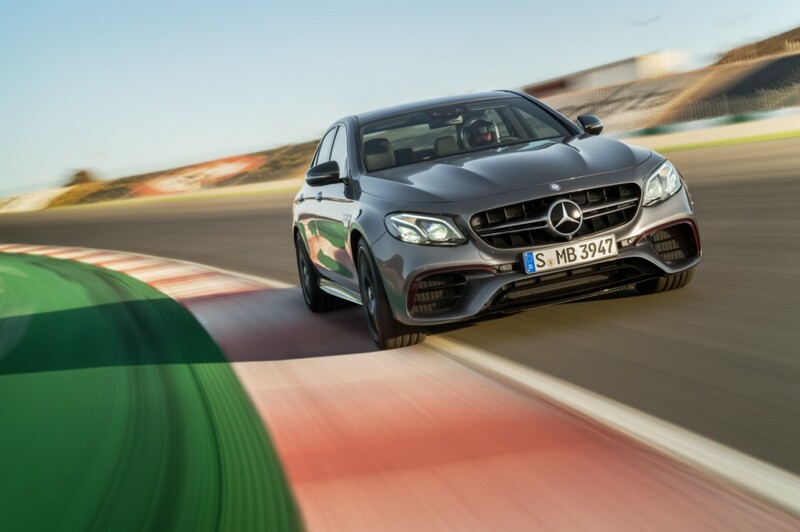 For the first time all E 63 models – whether in left-hand or right-hand drive – feature 4MATIC+ all-wheel-drive. 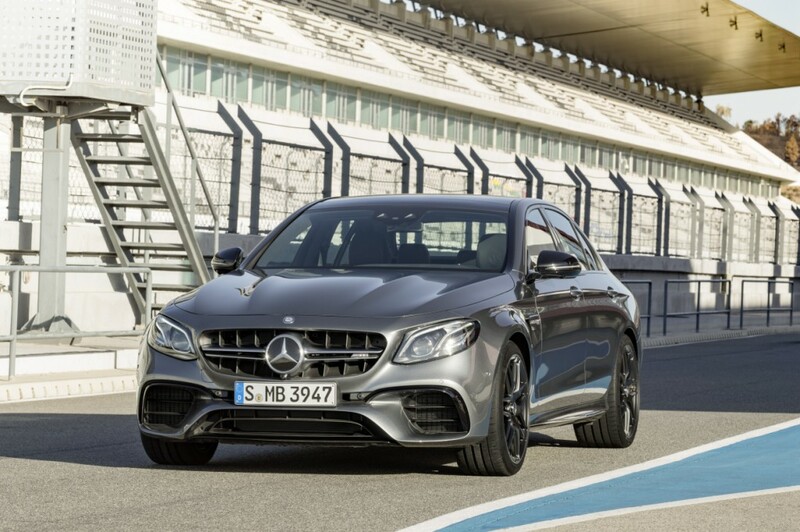 This newly engineered, intelligent system brings together the advantages of various drive configurations, including a Drift mode (only on E 63 S) that makes the car rear-wheel drive. Torque distribution on the front and rear axles is, for the first time, fully variable – making it easier to make full use of the car’s potential in all conditions. 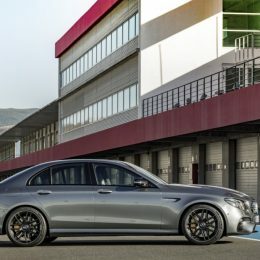 The E 63 comes as standard with AMG Ride Control sports suspension; 19-inch AMG five twin-spoke alloy wheels; Nappa leather upholstery; split folding rear seats; Comand Online with a 12.3-inch display; and 12.3-inch widescreen cockpit display. 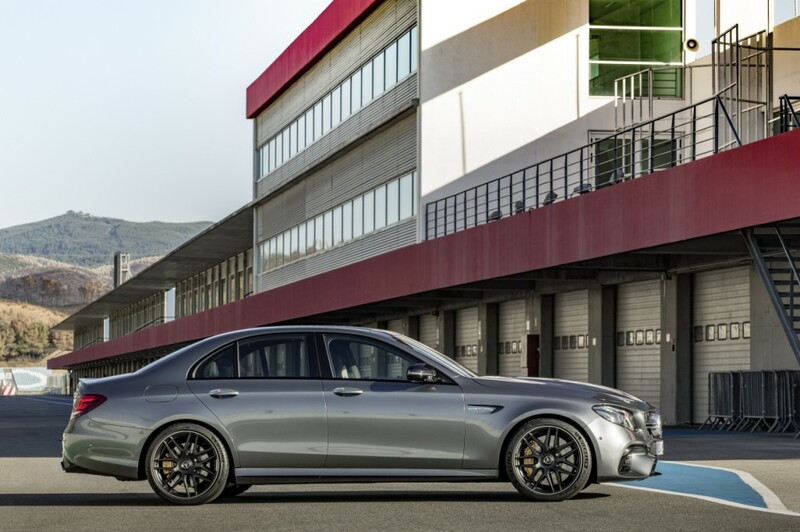 The E 63 S adds 20-inch AMG five twin-spoke alloy wheels; active dynamic engine mounts; AMG performance seats; and a steering wheel finished in Nappa leather and Dinamica microfibre. 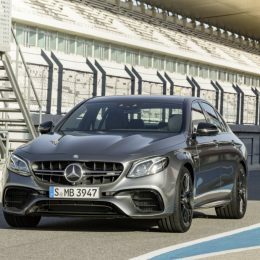 The Edition 1 – based on the E 63 S – adds 20-inch AMG cross-spoke wheels in black; designo Selenite Grey magno paint; and AMG Night package. Extra detailing in Titanium Grey above the side skirts is also standard. Inside, standard equipment includes AMG sports seats and Dinamica steering wheel with yellow contrast stitching, plus AMG carbon fibre trim. 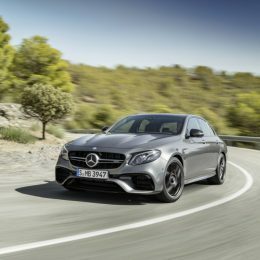 For £6,995, E 63 S and Edition 1 customers can opt for AMG high-performance ceramic brakes, while the AMG performance exhaust can be added to all models for £1,000. An AMG carbon fibre package adds front splitter, side sill panels, and rear bumper finished in carbon fibre for £3,370. The AMG Night package adds black detailing on the side sills, black exterior mirror housings and a black front splitter, all for £595. The optional Premium package (standard on Edition 1) is available for £2,595 and adds a panoramic sunroof; Keyless-Go Comfort package; Burmester surround sound; and Multibeam LED intelligent light system. As on all E-Class models, an array of advanced driver assistance features is available. The Driving Assistance Plus package costs £1,695, and includes Active Blind Spot Assist; Drive Pilot; Active Lane Keeping Assist; and Pre-Safe Impulse Side. Drive Pilot is made up of Steering Pilot; Active Lane-Change Assist; Distance Pilot Distronic; and Speed Limit Pilot.